From the glow on Jennifer Lawrence’s face to the radiance exuded by Anne Hathaway, celebrities always appear red-carpet-ready whether they are on screen or leaving the airport, or on a dinner date. However, the truth is that they don’t wake up looking like porcelain dolls. These mesmerising beautiful faces are the result of a strict beauty, diet and health regimen, which is kept guarded by the rich and the famous. While they are often quoted giving credit to their genes and high intake of water, we know that there is more to it. We spoke to our skin specialists in Australia and got them to reveal some of the best-kept secrets of our beloved celebrities. Let us take a look. Sun Protection –The scorching heat and harsh radiations of the sun are the primary cause of premature ageing. Sunburn and tanning can further add to the appearance of fine lines, freckles and pigmentation if you are not wearing protection. Thus it is essential to cover up and use an oil-free sunscreen to save your skin from the sun as well as breakouts. If you are planning a trip to the beach and can’t avoid some amount of sunburn, then apply Hyaluronic Acid or HA masks to rehydrate your skin. It helps to reduce the inflammation and the damage caused by the burn. Scrub Off The Dead Skin –To brighten up your skin, you need to unclog the pores and get rid of the dead skin cells. Thus your must regularly exfoliate using a scrubbing cream that helps in cleansing the surface. It can quickly turn your dull face into a glowing beauty. It is a must for oily skin which is prone to blackheads and breakouts. Stay Hydrated –We have all heard about drinking eight glasses of water every day, but it doesn’t help much. The better way to have fluids is to eat your water in the form of fruits and veggies. They are full of vitamins, antioxidants, fibre and essential nutrients which aid in making your face look radiant. You can even rub an orange or a banana peel on your face for additional results. Peel Off Masks –It is essential to use peel off masks if you have oily skin which brings along the problems of acne, blackheads or enlarged pores. Our Carbon Laser Peel uses Nd YAG laser to treat these skin problems and gives it a softer and radiant appeal. Wrinkle Treatment –Most celebrities get the dermapen wrinkle treatment which reduces fine lines, acne, breakouts and stretch marks. It is a micro-needling procedure which makes tiny punctures on the upper layer of the skin and initiates the rejuvenation process through the creation of collagen. It revitalises the skin and makes it look younger and smoother. Pigmentation Treatment –Age and harmful effects of pollution, an unhealthy lifestyle and the sun lead to excessive production of melanin in the body which gives birth to black spots and pigmentation. Our medical grade QX Max laser aids in decreasing the discolouration and makes the skin tone even. 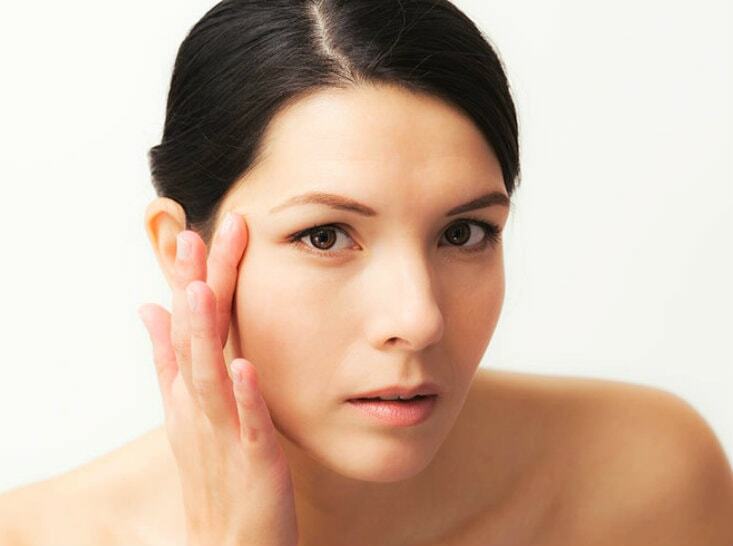 The non-surgical method is useful in the removal of wrinkles and dark spots and is quite affordable. Beauty Sleep –Much like maintaining a healthy diet and lifestyle, you need to enjoy a good night’s sleep as well to look younger. Sleeping for at least 8 hours every night ensures a beautiful and youthful skin that does not age prematurely. It helps to get rid of dark circles, eye bags and poor skin tone. Cleansing and Toning –Besides using all the creams and moisturises to hydrate your skin, you need to let it breathe as well. That is why you need to clean it regularly and remove the make-up at night before sleeping to avoid clogging of pores. After washing, use a toner and a moisturiser to keep your skin soft and smooth. High-Quality Cosmetics –Great looking skin is the result of an active and healthy lifestyle as well as a consistent beauty regimen. For a glowing complexion, you need to make sure that the cosmetic products you are using have a high dose of active ingredients. Avoid using cheaper and duplicate versions which can harm your skin. With all these beauty secrets, you too can look like a celebrity in no time. So go ahead and try this routine for a beautiful skin.